Dr. Trayes was raised in Bangor, attended Bangor High School, and married his sweetheart on the day of the Watergate break-in. He attained his bachelor's degree from Lafeyette College and his veterinary degree from the University of Pennsylvania. Dr. Trayes joined Dr Burlein at Cherry Ridge VC in 1976 and has made it his home ever since. He enjoys spending time in the garden in spring and summer, water skiing in summer, the Philadelphia Eagles in fall, and downhill skiing in winter. He also treasures his family; wife Celia, three children, five grandchildren, and always the dogs. Currently taking up floor space are the two labs, Steve and Rigger, and one mixed up dog, Ruby. His veterinary interests include surgery, behavior, and observing the interaction and love between his clients and their pets. 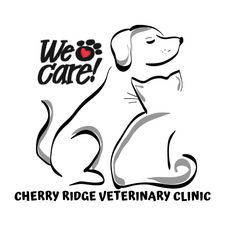 He has been part of the growth of Cherry Ridge Veterinary clinic from mixed animal to state of the art small animal and has enjoyed it all. Dr. Trayes feels lucky to work in a practice with talented and caring doctors and staff. 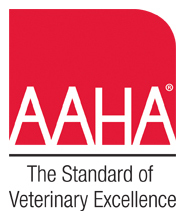 Dr. Trayes is a member of the Northeast Pennsylvania Veterinary Medical Association and the Pennsylvania Veterinary Medical Association.